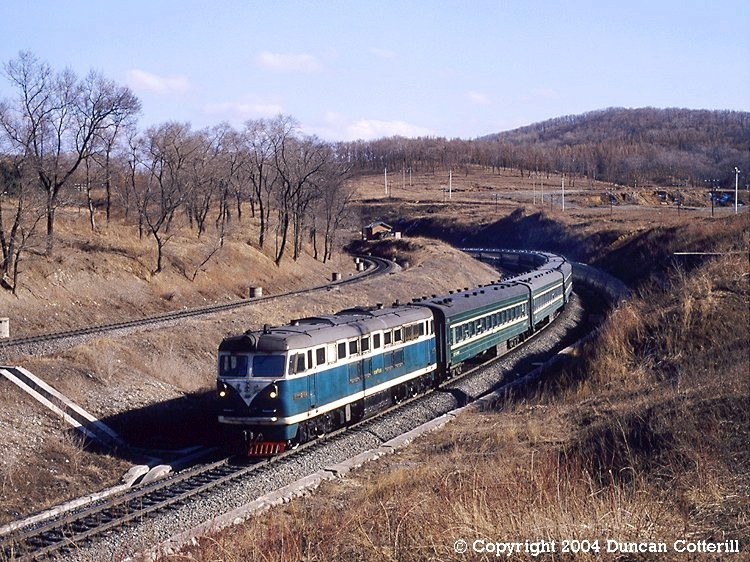 DFH3 0184 had just left the tunnel at Tumenling with train 96, the 14:21 Jilin - Changchun express, on 2 April 1988. At the time this train and it's return were the only diesel workings on the line. Most passengers were still worked by SL class pacifics.